Diploma and development programme in hotel management from Estoril Hotel Management School, started his career at Vila Galé Hotels. First management position was with Tivoli Lagos as resident manager. With nearly 20 years of hospitality experience, he is a highly accomplished professional valued for his experience in the luxury of leisure, moved from Tivoli Victoria, overlooking the championship golf courses of Vilamoura, in the Algarve. At Tivoli Palacio de Seteais our guests are immersed into an authentic Portuguese experience in every sense. This Palace is part of Portuguese history and every single area and services replicate the Portuguese Culture. We have a continuous improvement strategy implemented where each day is better than day before. 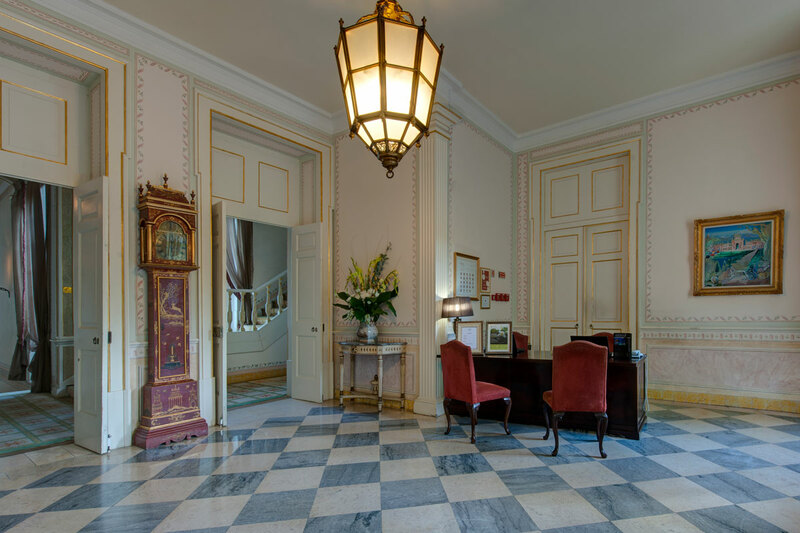 Altought it is a palace from XVIII century, the hotel is already adapted for the today’s discerning travelers with all the technology of a modern Hotel : Wifi, Flatscreens, Docking station etc etc but never losing the Palace authenticity. During the upcoming year (2017) we will be adding a SPA as well improve the F&B Concepts. 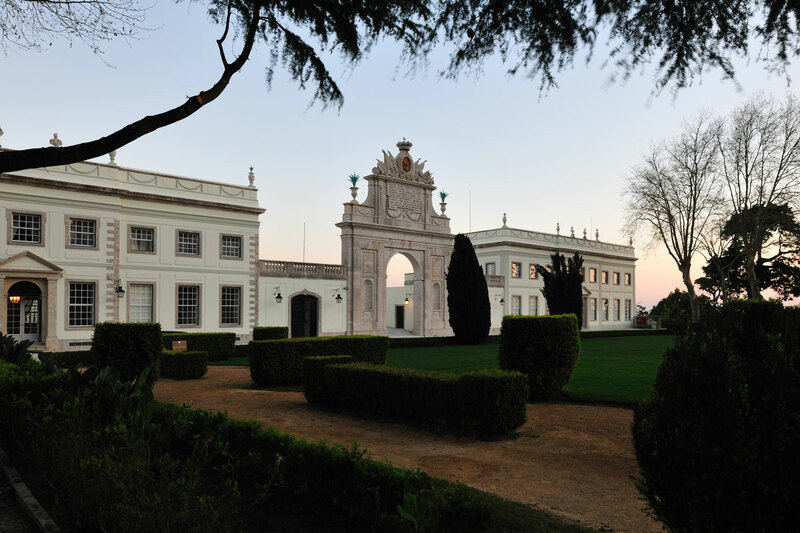 The Palace was built for the Dutch consul Daniel Gildemeester, on lands granted by the Marques de Pombal. Seteais was enlarged between 1801 and 1802 and the cornice of the buildings that compose the main facade and the arch was decorated with typical neoclassical motifs by Diogo José Vito de Menezes Noronha Coutinho, 5th Marquis of Marialva. 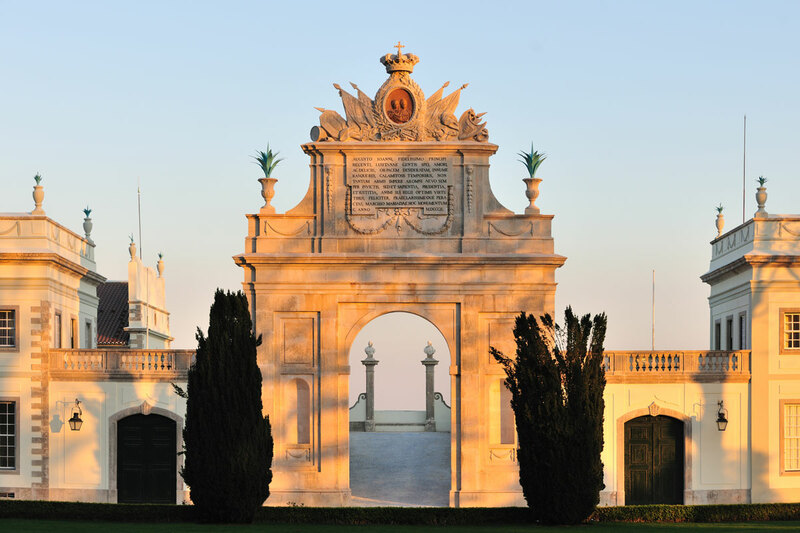 On the year of 1762, he bought Campo dos Seteais and decided for the building of a Palace which was given the same name. After the dead of Daniel Gildemeester in 1793, his family sold the Palace to the 5th Marquis of Marialva. 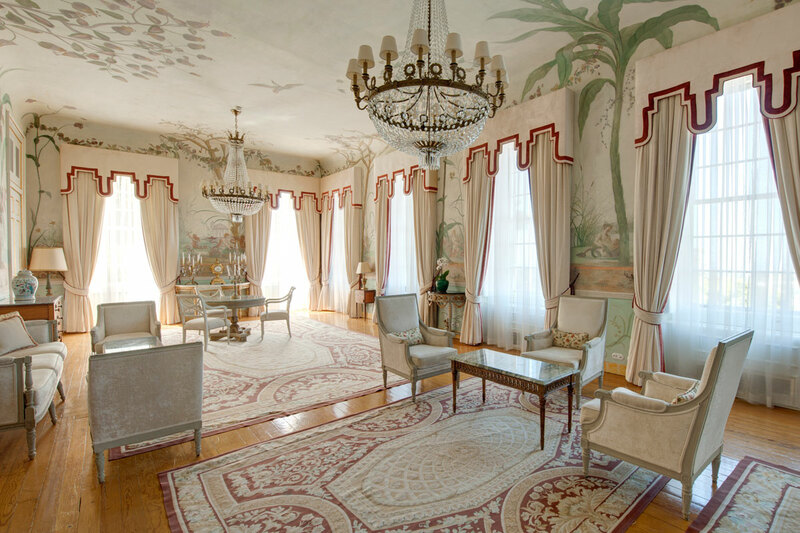 The walls of several inner rooms of the palace were decorated with frescos attributed to French painter Jean Pillement and his followers. With the end of the House of Marialva and the dead of the Marquis, the Palace was no longer dwelled until it was bought by the Earl of Sucena. After owner’s changing several times, the palace was acquired by the Portuguese government in 1946. 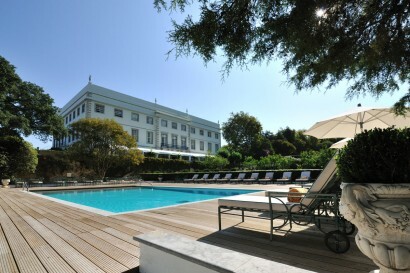 The Seteais Palace has been used as a luxury hotel since 1954, but its original characteristics have been preserved. 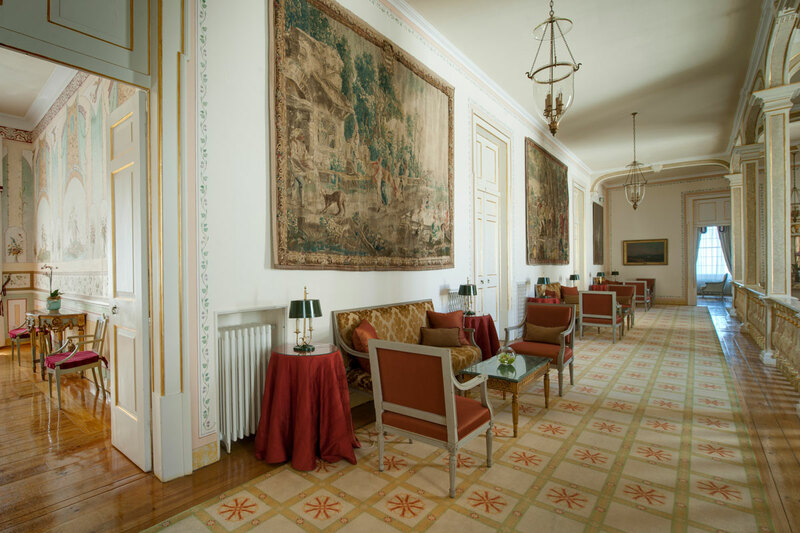 Much more than just a 5 star hotel in Sintra, a luxurious and romantic palace of period architecture which takes you back to the elegance and atmosphere of the XVIII century. It is the only Luxury Hotel in Sintra city center which makes it the perfect place to enjoy and discover this magical town classified by UNESCO as World Heritage. The rooms are decorated with furnishing of extraordinary wealth while the ballrooms are simply stunning with tapestries and frescos of rare beauty giving this hotel a unique setting to turn any event or stay into an unforgettable experience. Spend idle hours wandering the mazes or enjoy them from a distance in the comfort of our Seteais Restaurant while you sample the highly original cuisine of our master chef. 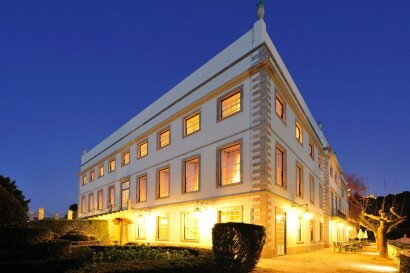 On the mountainside of Sintra with privileged views of the Moorish Castle and Pena Palace, in a palace made for romance, enjoy the experience of a special dinner for two. 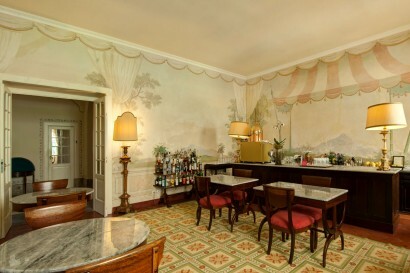 Dine in one of the palace’s ballroom or next to the pool. This is Dining Delight, an experience which brings together stylish flavours and an idyllic scenario for an unforgettable night. Recently Launch the Program “Own your Palace for a day” An exclusive, bespoke programme for clients to journey back in time and literally own the entire palace, its 30 bedrooms and all public areas and gardens, for 24 hours. 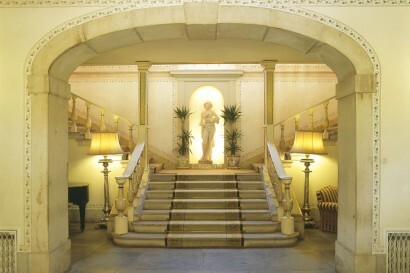 Own a Palace for a Day is perfect for holding unique ocassions, celebrations or family & friends vacations. Tivoli Palácio de Seteais is located on the hills of Sintra, UNESCO World Heritage town, with lovely views to the Pena Palace and Moorish Castle where guests have the opportunity to enjoy the amazing nature of this region, or a pleasant walk to the village, one of the most picturesque in Portugal. A trip in a horse drawn carriage with a stop for a picnic in the Sintra hills. Can you imagine it? A basket brimming with delicacies, sitting on a picnic cloth with the hills as the backdrop. During the trip you’ll also discover some of the secrets hidden in the historical palaces and monuments. Discover the Sintra region through its flavours. At the Colares Regional Cellar, founded in 1931, your group will extend their knowledge of this region through the tasting of wine, cheese and cured meats. With 5 types of tasting to choose from, immerse yourself in this atmosphere rich in flavours and traditions. Sit comfortably in this 1930s replica and set off on a sidecar adventure. Choose from circuits to the beach passing through Praia Grande, Praia da Adraga and Praia das Maças or if you prefer a greener route, head for Capuchos, Peninha and Cabo da Roca. You can also design your own tour! A unique Helicopter along the Sintra coast to Cabo da Roca, Guincho and back over the Sintra mountains. You can enjoy a delicious lunch in Comporta and return to Sintra for a much deserved rest. The Magical Sintra is also a world class place for Trekking, cycling and Golf. In 1147, one of the first Christian knights to climb the Sintra Mountains was D. Mendo de Paiva. He found a secret door through which several Moors were trying to escape. Among them was a beautiful Moorish girl accompanied by an old lady in waiting. When she saw the knight, the young girl shouted “ai!”. As D. Mendo informed the girl that she was to be his prisoner, she shouted “ai!” again. The lady in waiting then fearfully revealed that her mistress had been put under a spell, and would die the day she said “ai” seven times. When she heard of this secret, the young girl let out her third “ai!”. D. Mendo did not believe such nonsense, and while he was taking both ladies prisoner, the girl screamed “ai!” once more. She sighed and the lady in waiting shouted “that’s the fifth “ai!”. The knight told them to wait where they were, as he was going to take them to a safe place. As soon has he had left, a group of Moors appeared to rob the women. With a hefty blow from a dagger, they cut off the lady in waiting’s head. Seeing her die, the young girl let out a mournful “ai”. This was the sixth “ai” and the seventh was the last thing she said when she saw the dagger coming towards her. When D. Mendo returned, he swore to avenge the death of the young girl. In her memory he named that secluded area of Sintra “Seteais” – Seven “ais”. To this day, in the Seteais gardens, there is a place where if you shout “ai” you’ll hear an echo come back seven times, in honour of the girl who died there. It is no surprise that this magical, one-of-a-kind hotel has attracted so many important people.Our famous guests, drawn by the palace’s mysticism, beauty and service, include Agatha Christie, Alain Prost, Brad Pitt, Catherine Deneuve, David Bowie, Mick Jagger, John Malkovich, Johnny Depp, Kylie Minogue, Maria Callas, Marguerite Yourcenar, Mel Gibson and many more. Childrens and fa,ilies are also very high on the hotel agenda. After all this unique property looks it was taken from a fairy tail book. The Hotel apart from the connecting rooms also have a special childrens amenities which will make every fa,ily holiday an unforgettable stay. Sumptuously furnished, this suite with double bed covers 47m2 has XVIII and XIX century decoration with Dona Maria style furniture. Consisting of a living area with an open-space office, relaxation area and a balcony, it is located on the 1st floor of the old wing and has an excellent view of the swimming pool. This suite with bathtub also has a Nespresso coffee machine, iron and ironing board and a safe. With sumptuous XVIII and XIX century decoration, these rooms with twin beds and varying in size from 25m2 to 34m2 are on floors 1 and 2 of the old wing and have superb views of the Sintra Mountains. Two of the five rooms have a Dona Maria style bathtub and a shower cabin giving the bathroom a luxurious and comfortable feel. Some rooms also have a terrace with a refreshing breeze from the Sintra mountains and superb views of the amazing landscape. 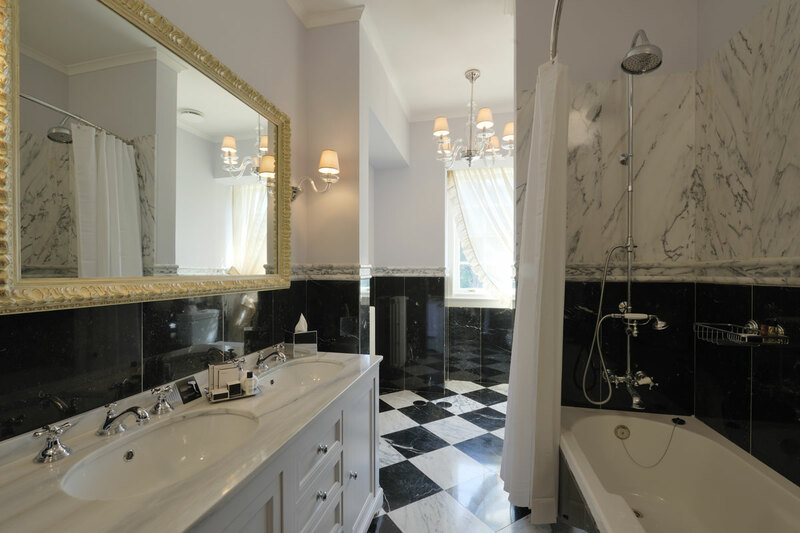 With a fully equipped bathroom including bathtub, these rooms also have a work area with writing desk and armchair, Nespresso coffee machine, iron and ironing board and a safe. 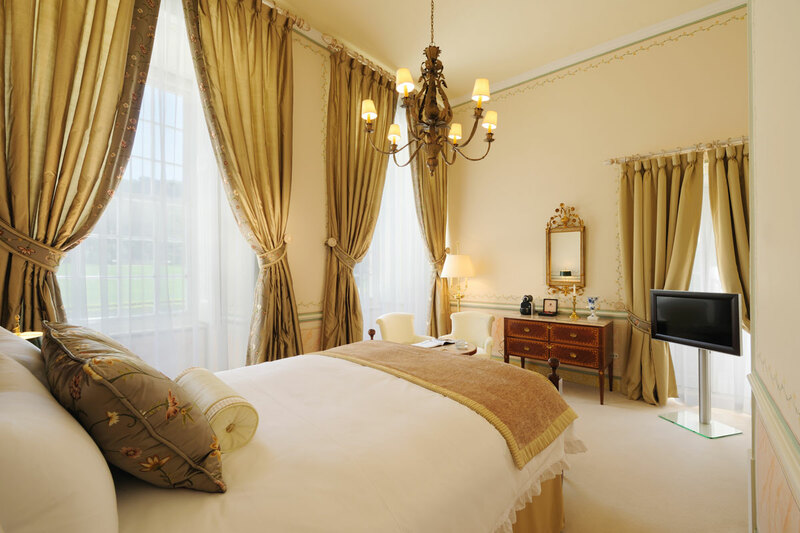 The sumptuous decoration of the XVIII and XIX century of these rooms with double / twin bed reflects the elegance of this Palace. 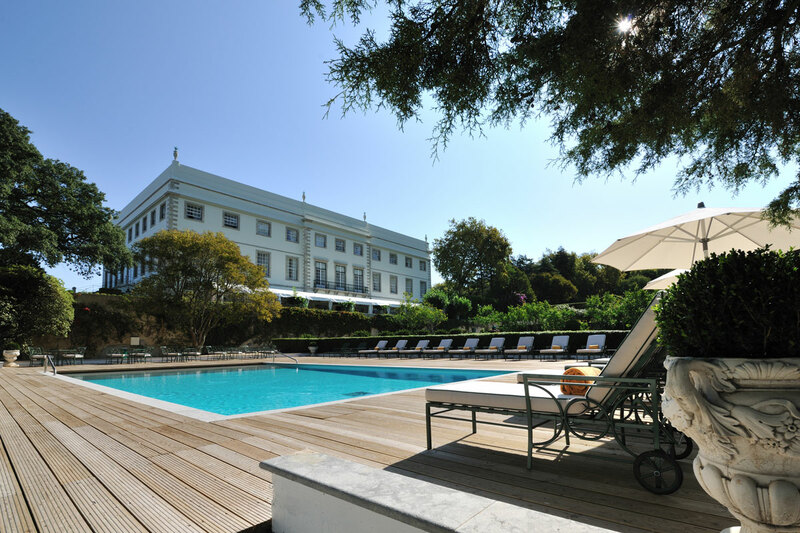 Located on floors 1 and 2 of the old wing, these ample-sized rooms varying in size from 21m2 to 31m2 have superb views of hotel gardens, the pool or the amazing Sintra Mountains. With a fully equipped bathroom including bathtub, these rooms also have a Nespresso coffee machine, iron and ironing board and a safe. With a superb view of the gardens and the mountains and frescos and paintings of extraordinary beauty, your meal or event will be simply unforgettable. Serves Portuguese and international cuisine prepared by our excellent chef. With its privileged location, this bar has the best panoramic views in Sintra. Sit back at the end of the day on the delightful outside terrace with your favourite drink and enjoy the splendour. 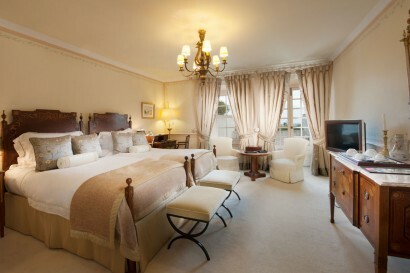 Dine in a choice of beautiful, exclusive settings, with personal butler service. Sample an amuse bouche served with Champagne in a stylish and welcoming room decorated with frescos by the renowned French painter Jean Baptiste Pillement. You can also choose to dine under a pergola next to the pool with exceptional views of the surrounding landscape – the Atlantic Ocean, framed by the Sintra Mountains, considered a UNESCO World Heritage. • Meal Plans : Bed & Breakfast, Half board and Full Board.